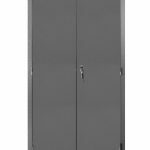 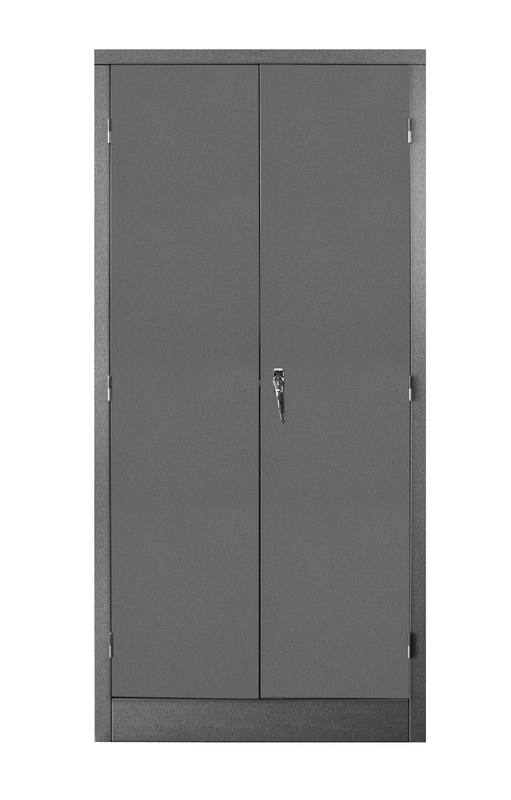 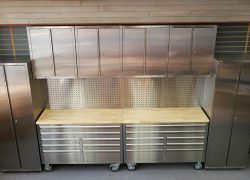 New Tall Cabinet is perfect for organizing the big and bulky stuff, which can be used in your garage, workshop, mudroom and laundry room. 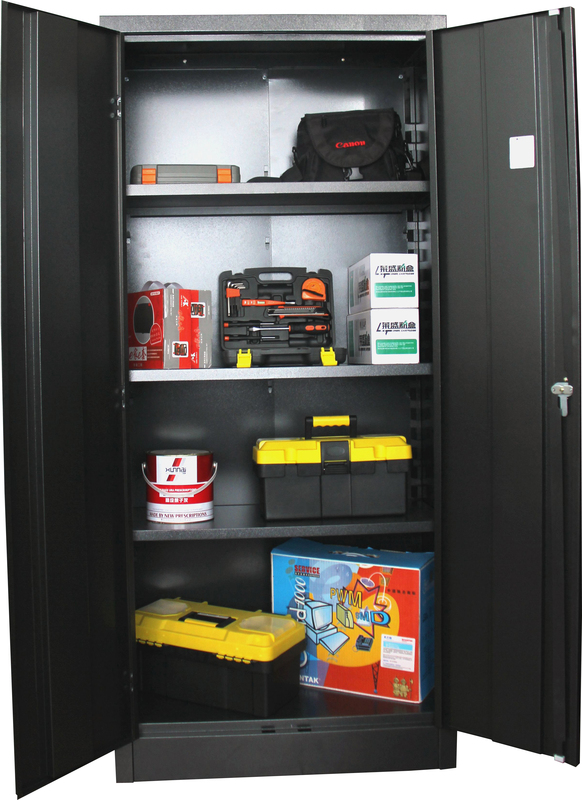 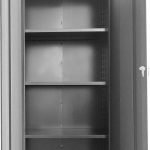 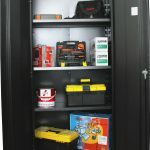 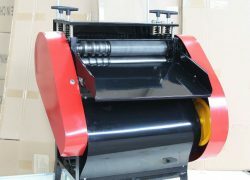 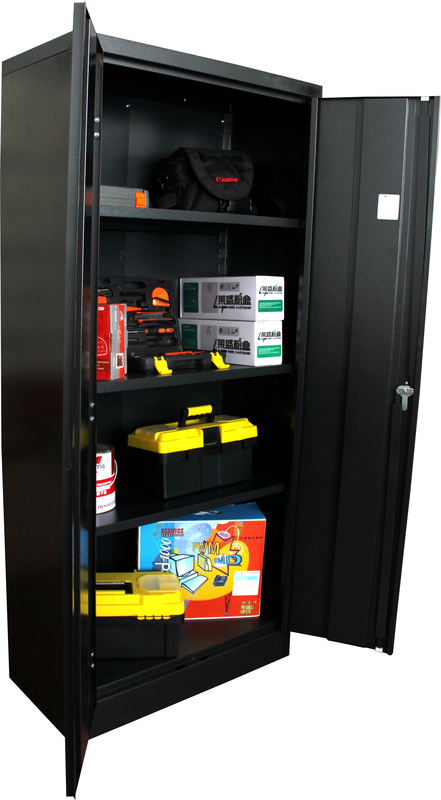 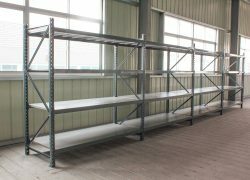 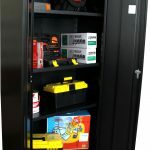 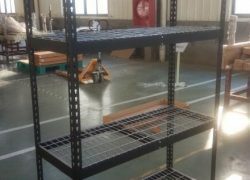 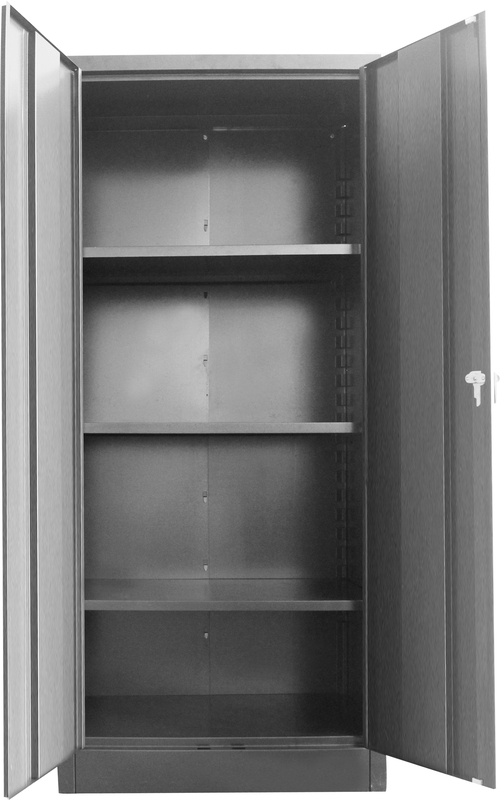 Its rigid steel construction is strong enough to withstand harsh temperatures, humidity and all the wear and tear of daily use, plus it provides plenty of room with 3 fully adjustable shelves giving you storage flexibility. 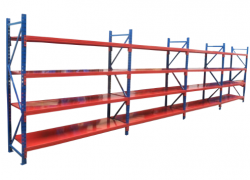 Each shelf can hold up to 150 lbs. 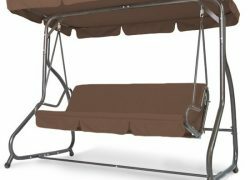 of evenly distributed weight.